GIVE ME 4 WEEKS AND I PROMISE I'LL HELP & TEACH YOU HOW TO GET RID OF YOUR UNWANTED BELLY FAT QUICKLY AND GAIN BACK YOUR BODY CONFIDENCE! I'm looking for 15 highly motivated men who want to get rid of their belly fat forever whilst gaining more confidence and transforming their body & lives - FAST. If you are chosen I will GIVE YOU FREE 4 weeks of my FULLY CUSTOMIZED training & nutrition program PLUS my accountability & motivation coaching to ensure you HAVE EVERYTHING SUCCEED. (3) When friends ask you how you got your results - You tell them about me! 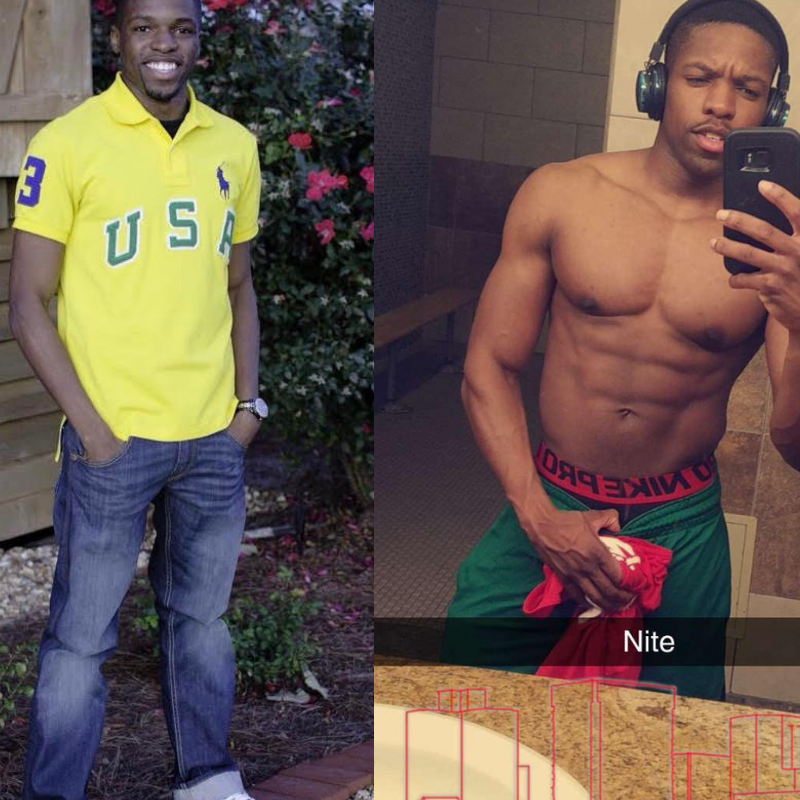 Teven reached out to me asking me on how he can build muscle size and gain more weight because he has been having trouble for a long time due to very fast metabolism. 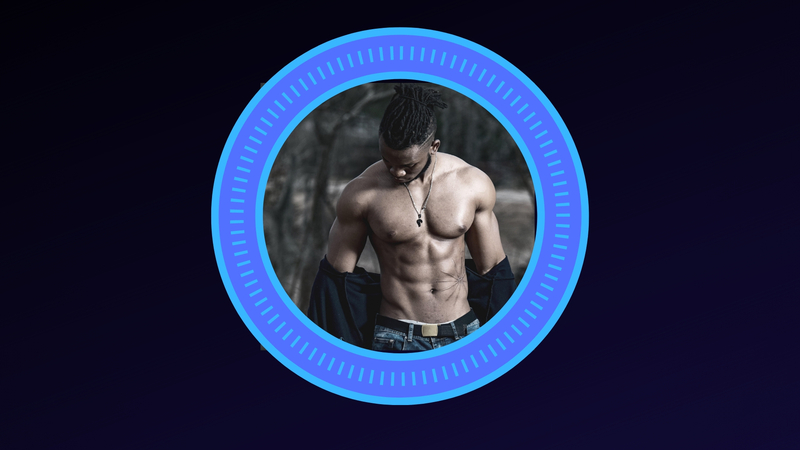 Knowing his body is different, I created a custom and very effective 3 steps program that will help him reach his goals fast and effective in a way he never knew was possible. His results were incredible due to his 100% commitment through the program. He still got a long way to go but he his loving his result now he have learned the 3 simple step secret of fixing fast metabolism. Meet William/Beauski. He reached out to me with a goal which is to lose belly fat due to alcohol drinking which is causing issues with getting rid of the belly. Just by Implementing a well personalize plan for him with my 3 step formula, it change his outlook on how to lose belly fat which make the process easy without stressing on what works and what doesn’t while he can still control his drinking. All it took was 16 weeks for him as you can see in the picture. He is still continuing implementing the 3 steps formula to further his results to the next level. Meet Biond - When he first contacted me, he goal was strictly to gain weight and muscle mass because he was tired of how skinny he was and he is a movie actor back in his country. My plan for him was to transform his body to the best shape of his life. 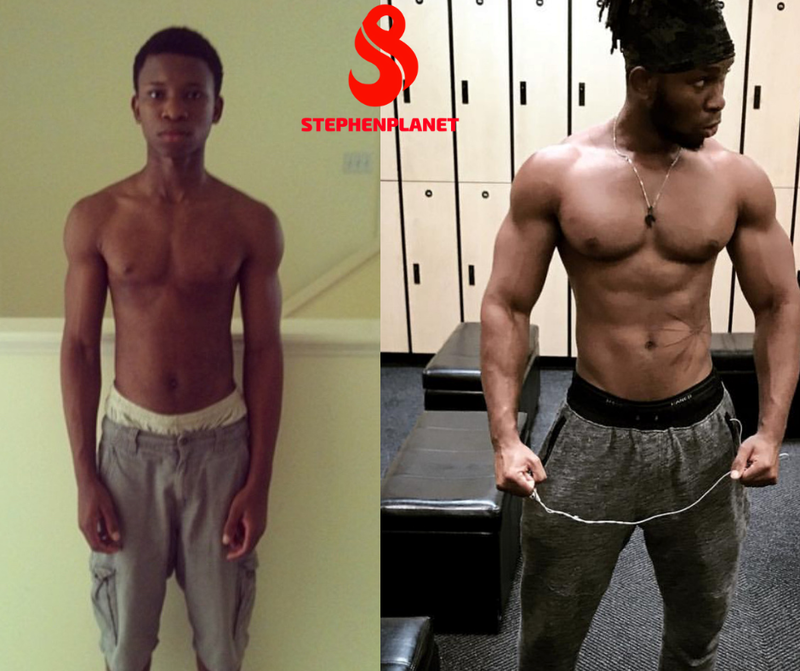 He received a custom workout program, nutritional, and most importantly teach him the secret of building muscle fast which is part of my 3 step formula. 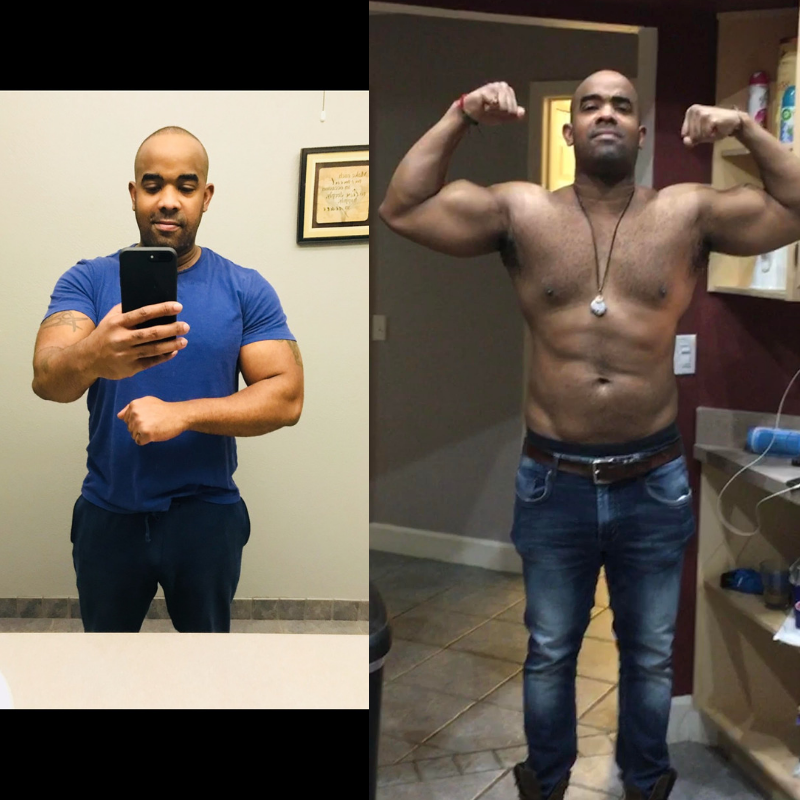 4 weeks of working with me, he was completely surprise on how much he is improving and wish to continue to make a future incredible transformation. Can't wait to see his results in few months!!! If You've Struggled To Lose Your Belly Fat or Want to Start, Then This Is The Solution You've Been Looking For. When you kick off with my exclusive coaching program, you are given the hands-on and personalized guidance that has been proven to work for hundreds of real men from all walks of life. Let me help you get rid of that unwanted belly fat with my proven principles! Choose the food you will enjoy, while still achieving results. “Diet doesn’t have to be boring"
An initial Skype consultation to allow me to assist you in identifying any potential limiting factors outside of your training. An 3-week personalized training program with Videos based on your schedule and limitations. A sample meal plan hack based on your requirement to maximize your results. Weekly check-ins, text and email support. This program is guaranteed to help you get rid of your belly fat & create the most confidence body shape you've had in your life quickly. Meet William/Beauski. 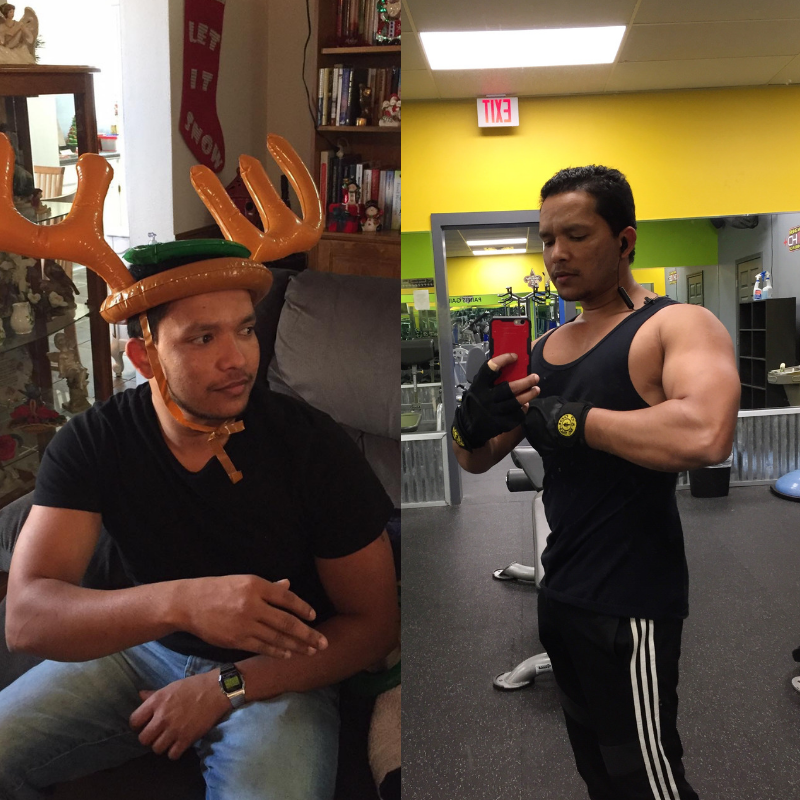 He reached out to me with a goal on his mind which is to lose belly fat due to drinking and some weight that he has always been having trouble getting rid of. Just by Implementing a well personalize plan for him with my 3 step formula, it change his outlook on how to lose fat which make the process easy without stressing on what works and what doesn't. All it took was 9 weeks for him to start seeing results in his stomach as you can see in the picture. Yes it is completely free. If you apply and after speaking I think you would be a good fit, I will develop you a free 4 week training and nutrition program PLUS coach you and keep you accountable so you succeed. I have done this type of things before and what i find is that only high motivated people get the results they want. As a results i will be asking you to put down a 100% refundable, no strings attached 'accountability deposit'. This just so you can show some form of commitment & use it as external motivation. If you follow the training and give 100% commitment to it for the 4 weeks I will give you 100% of the money back (or if you want to continue to train you can use it towards engaging me to do a 12 week training program with you. This is completely up to you). All I ask in return for this is 100% commitment, a testimonial from you talking about your results & when anyone asks you about how you got the results - you tell them about me. WHY AM I DOING THIS..? i'm doing this because i want to create a 'WORLD OF MOUTH' explosion about my online fitness business. I know its work, I know how much it can change people's lives and as a results I want to get it in as many hands as possible. I know if I give it out to people for free and they get great results, their friends will ask them how they did it & they will tell them, which will then their friends will become paying clients of mine. In addition I want more testimonials of successful people giving further proof and credibility that my program is the best out there. This website is not part of the Facebook website or facebook inc. Additionally, the site is not endorsed by Facebook in any way. Facebook is a trademark of Facebook, Inc.